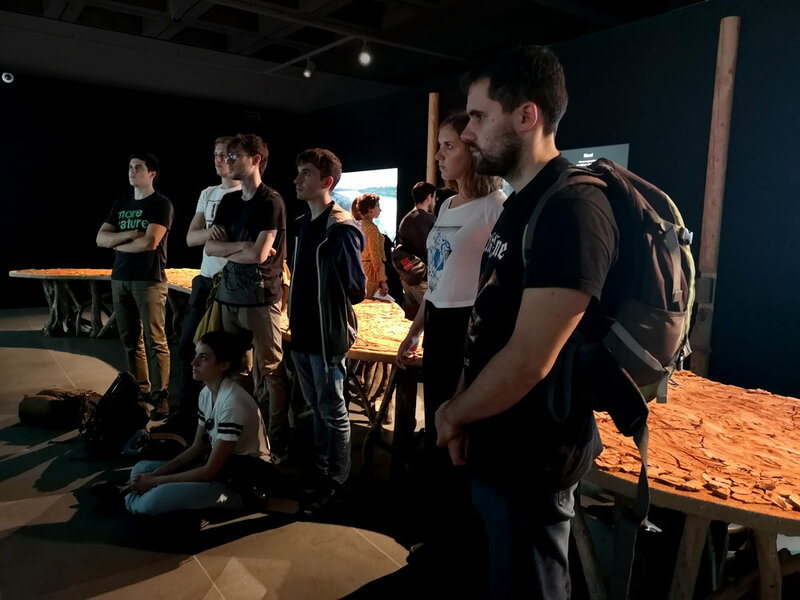 Museo delle Culture (MUDEC), Milan, Italy, Future Geographies—presents “Only the River Remains to Speak”—an art installation by studio Azzurro with Photographer Jane Baldwin, in collaboration with Survival International. The exhibition (Oct. 1 - Dec. 31) gives voice to contemporary explorers, and is dedicated to the social, artistic and cultural exploration that has characterized the more recent post-colonial history. A unique, interactive art installation that honors the voices and faces of the indigenous peoples of Ethiopia's Omo River Valley and Kenya's Lake Turkana watershed—invites us on a poetic multimedia journey in the regions that gave birth to humankind. 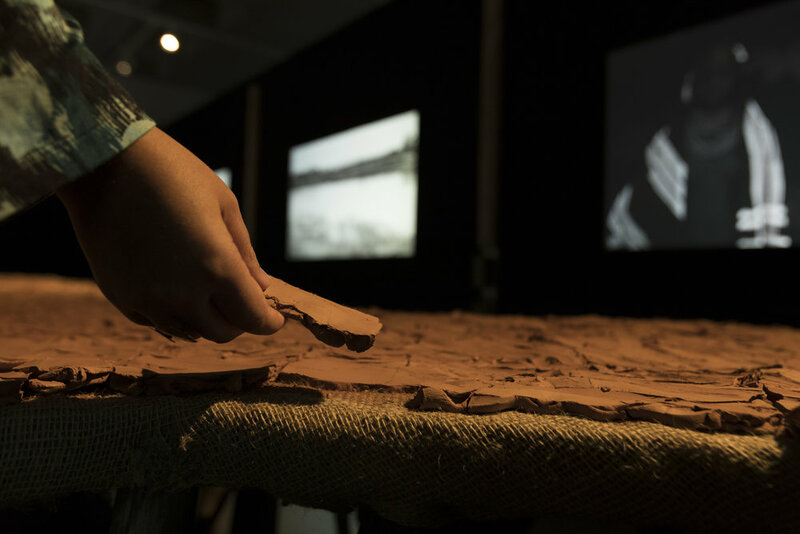 From the dry riverbed within the exhibition, the contours of a burning issue highlight the deep bonds between humans and their habitat, between us and other peoples, between safeguarding biological and cultural diversity and the future of humanity. The project combines the fieldwork of the photographer and educator Jane Baldwin with the work of Survival International in defending the rights of tribal peoples around the world and the renowned artistic creativity of Studio Azzurro. 닻미술관은 가을을 맞이해 특별 기획전시 <공명의 소리 Resonant Voices>를 준비했습니다. 미국에서 초청한 두 명의 사진가, 로니 그래험 Lonnie Graham과 제인 볼드윈 Jane Baldwin은 각각 '세계와의 대화 A Conversation with the World'(1987-현재), '남겨진 강: 카라 여인의 이야기 Only the River Remains: Kara Women Speak'(2004-현재) 다큐멘터리 프로젝트를 선보이며 타인에 대한 진정 어린 이해와 관용, 사랑의 가치에 대해 깊이 있는 대화를 건넵니다. <공명의 소리 Resonant Voices>는 이처럼 두 작가의 의미 깊은 프로젝트의 화합으로 이루어졌습니다. 전시 공간에 들어서면 로니 그래험이 촬영한 27명의 인물 사진이 관람객을 둘러싸고 카라 여인과 오모강의 풍경이 이들과 함께 호흡하며 마주합니다. 더불어 닻프레스에서 발간된 매거진 ‘깃’ 9호와 두 작가의 사진 출판물이 전시를 더욱 풍성하게 만듭니다. 로니 그래험과 제인 볼드윈의 두 프로젝트는 결국 같은 이야기를 향합니다. 바로 각자 삶의 문화를 지켜내기 위해 고군분투하는 모습은 우리의 삶과 결코 다르지 않다는 사실입니다. 이는 타인의 목소리에 진심으로 귀 기울여야 하는 이유이기도 합니다. 공감의 울림으로 가득한 닻미술관의 새로운 전시, <공명의 소리 Resonant Voices>로 여러분을 초대합니다. SONOMA, CA – June 26, 2015 – Jane Baldwin’s travel and immersive work in the Omo River Valley photographing and recording stories from the women of indigenous communities living in Ethiopia and Kenya will be seen in an exhibition at the Sonoma Valley Museum of Art from September 12-December 6, 2015. A series of public programs will bring environmental and human rights activists in to explore these urgent issues. The exhibition features a selection of life size portraits and accompanying stories that span cultural traditions of first and second wife, death and mourning, arranged marriage, childbirth, education, a woman’s role as a Kara government representative. 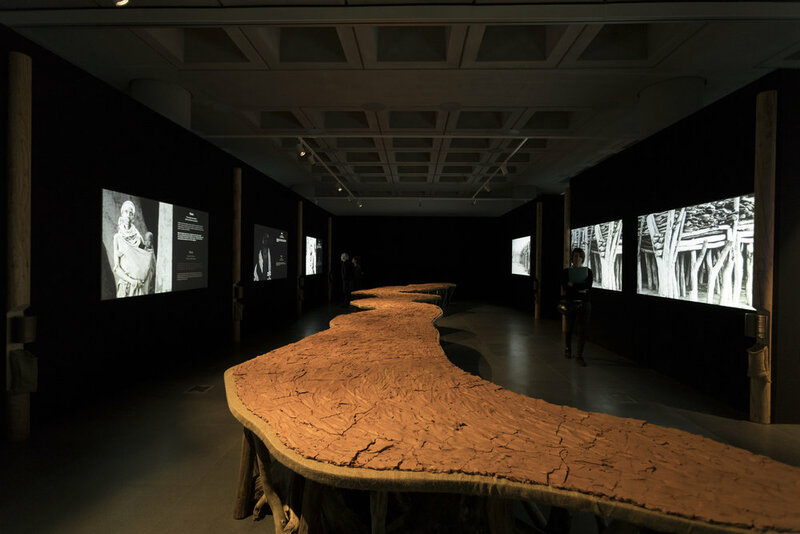 The multi-sensory exhibition also features Baldwin’s ten-minute short film of a Kara women musing about her concerns for the survival of her people, an audio tour that highlights the soundscape of field recordings along the banks of the Omo River, and a selection of artifacts gifted to the artist. Based in Duss, Baldwin’s camp was situated on the ancestral lands of the Kara tribe, providing an intimate relationship with the Kara, the smallest of the several self-sustaining indigenous tribes along the Omo River. Immediately drawn to the women of the Kara and neighboring tribes, the Nyangatom, Hamar, Turkana and Dassanach, Baldwin found herself quietly sitting with the women, watching, listening and adapting to the natural rhythms of river life on the Omo. Baldwin’s curiosity and willingness to bare witness to their stories engendered a trust that evolved slowly and developed into a lifetime multi-media project. Kara women are the keepers of the ancient oral traditions; through storytelling the legacy of a harmonious and interdependent way of life is preserved through myth, proverb and song. The Kara, a population of approximately 1,200, depend on the river’s annual flood cycle to replenish their land to farm sorghum and maize and to nourish their livestock. Their agro-pastoralist way of life is currently threatened by the construction of a giant hydroelectric dam on the Upper Omo River, the Gibe III (nearing completion) and land grabs by foreign investors and governments for the production of cotton and sugar cane. The Omo River, reverently referred to as their Mother and Father, has provided for the Kara’s wellbeing since the beginning of time. For more information on the environment, political and social issues facing the tribes in the Omo River Valley and the Lake Turkana watershed, please visit the following non-profits online at: International Rivers, Berkeley, California; Friends of Lake Turkana, Lodwar, Kenya; Human Rights Watch, New York, New York; Oakland Institute, Oakland, California; and Survival International, London, England. $5 for adults. Children k–12 are admitted free, as are SVMA members. Additional information is available at www.svma.org or by calling (707) 939-7862.